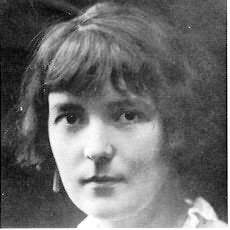 Katherine Mansfield was born in Wellington as the daughter of a successful businessman. Her family was wealthy enough to afford to send her to Queen's College, London for her education. She then returned to New Zealand for two years, before going back to London to pursue a literary career. Her life and work were changed forever with the death of her brother during The Great War. She was shocked and traumatised by the experience, so much so that her work began to take refuge in the nostalgic reminscences of their childhood in New Zealand. For the imperial historian, it is this body of work that is the most interesting: Prelude (1917), Bliss, and Other Stories (1920) and The Garden party and Other Stories. (1922) She could evoke stunning mental images of the natural beauty of New Zealand as well as showing a keen ear for the oddities of Upper Class English and Colonial society. The last years of her life were punctuated with bouts of the tuberculosis that would eventually kill her in 1923. This sense of impending and unnaturally early death also added to the sharpness and poignancy of her later works. Her husband, John Middleton Murry, would later publish many of her works, letters and papers postumously. However, he guarded her image jealously and is thought to have censored much of this body of work. "A living book ... one can put it down and it goes on breathing."